24×36 screen print by Mondo. Original is watercolor, gouche, pastel and charcoal on board 30×40 in. 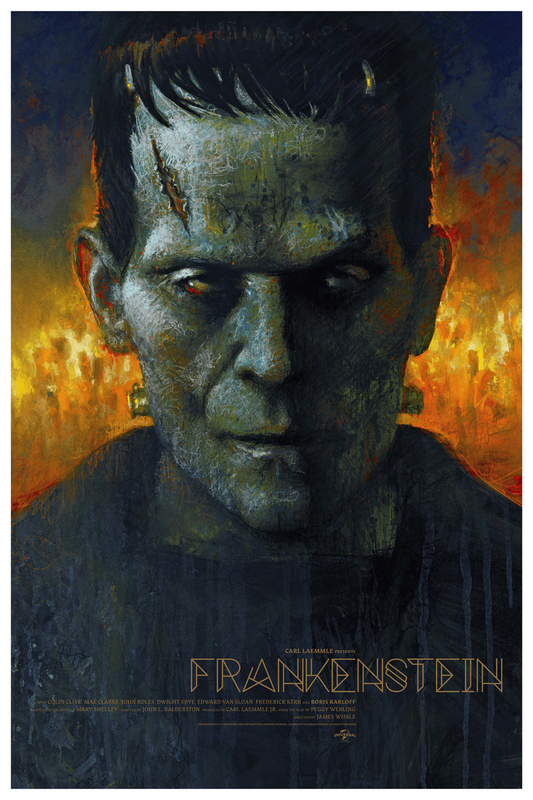 This original painting along with it’s screen prints is part of the Mondo Universal Monsters show opening Friday January 19th, 2018. A Nightmare On Elm Street 3 "The Dream Warriors"